During this year’s 61st Primetime Emmy Awards Ceremony platinum jewelry in all its shapes and forms, ruled the red carpet. Platinum earrings, bracelets, necklaces and rare men’s watches and cufflinks, all dazzling in diamonds, wear draped on all the celebrities who attended. Previous to the awards ceremony, there was an exclusive event hosted by the Platinum Guild International where celebrities were invited to view and select jewelry to wear for the Emmy’s and to the after parties. From items like a 100 carat diamond and platinum necklace, to earrings, bangles, rings and men’s jewelry watches, the selection of platinum jewelry was truly amazing. 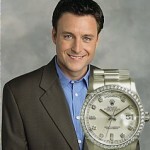 Chris Harrison, host of TV shows like Antiques Roadshow and The Bachelor was seen wearing a men’s jewelry watch in the form of a Platinum Rolex watch with diamonds and mother of pearl dial. Alyson Hannigan selected platinum and 28-carat diamond earrings, a platinum and 70-carat diamond bracelet, and a platinum and 11-carat diamond ring by Chopard. Patricia Arquette chose platinum and diamond earrings, ring and bracelet. Glenn Close went for platinum and diamond earrings designed by Fred Leighton, while Jessica Lange glowed in a platinum and diamond bracelet. Platinum will rule over years as it’s fashionable enough. I love it too.